OLD habits die hard, as Collingwood AFLW rookie Sharni Layton showed in a recent practice match. But the Magpies have been buoyed by the cross-code recruit's progress over pre-season and her "amazing" set of hands. 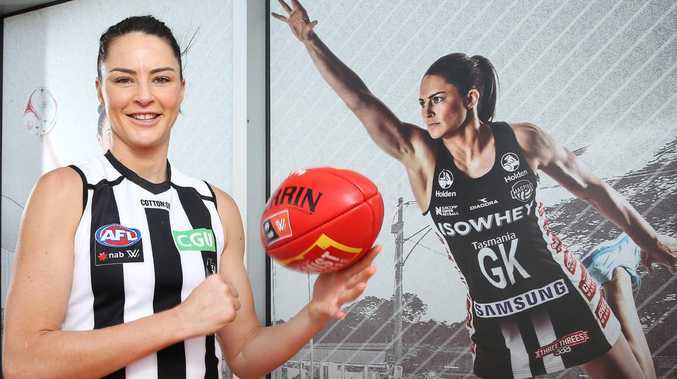 A former Australian Diamonds defender and Collingwood Super Netball star, Layton showed good signs in a scratch match against Western Bulldogs in the ruck and forward earlier this month - except for one little hiccup. "The game sense is coming along, it's more the positioning," Collingwood coach Wayne Siekman said. "I think the actual playing the game is okay, it's just where to go and what to do. It's also the rules. 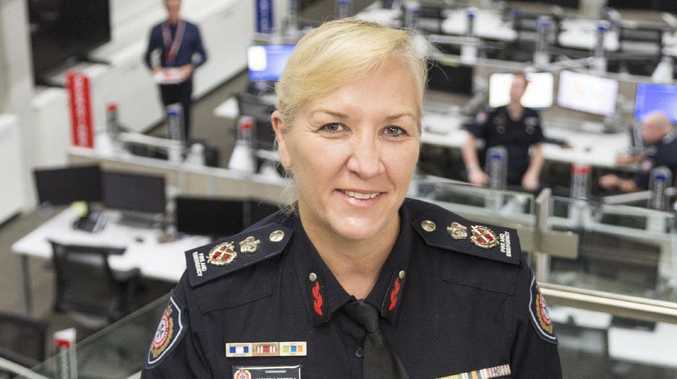 "She picked up the ball and the umpire blew a free kick to the Bulldogs and she put the ball on the ground as you do in netball, didn't give it back on the full which is a 50m penalty." Rules aside, Layton has impressed the Magpies with her leadership as well as her skills which are quickly coming along. 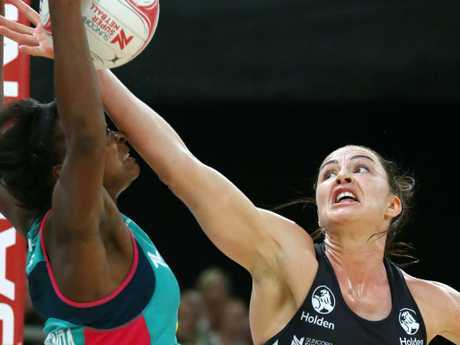 "Her hands are amazing because of netball," Siekman said. "She actually struggles to take a chest mark but she rarely drops an overhead or in-the-hands mark which is generally the opposite in football. "She's a terrific athlete and I think her leadership and her voice is something that, with a young group, has been pivotal for our team." Layton, 31, is one of 12 new players in Collingwood's squad this season, the vast majority of whom are in a younger age bracket. Siekman said the Magpies were looking to the future more so than this year, given the competition's expansion which has seen two new teams enter this year and a further four set to join in 2020. "We're setting ourselves up not just for the now but for the future, which not a lot of clubs might have done for the first year of expansion," Siekman said. "How quick can grow as a team, there's no ceiling on it. Whether that gets us to the top or gets us mid-table, who knows. But how quickly they can grow and develop and improve is on us as coaches and them as players." Collingwood finished sixth last year with a 3-4 record.